I haven’t seen my friend Bart in forever, so when he asked if I wanted to go to a sports card & memorabilia show today, I said “sure.” The Westchester County Convention Center was also hosting a reptile expo today, and that drew a bigger and more diverse crowd, but there was plenty to see at the card show. I found a “vintage” signed Marv Throneberry card from a Renata Galasso baseball card set honoring the 20th anniversary of the 1962 original Mets, signed photos of current Mets’ second baseman Jeff McNeil and once (and perhaps future) Mets’ infielder TJ Rivera, a double-signed photo of Lee and LJ Mazzilli, signed photos of three members of the Magnificent Seven gold medal women’s gymnastics team from the 1996 Olympics, and a few $3 Oyo Sports figures that I didn’t have. I also snagged a baseball card album so I can start organizing my Mets autographs from the past few years. My first binder held 50 years of Mets’ players, but it’s time for a new one. So I’ll be updating my Mets autographs needed list sometime soon, but probably not until after the holidays. But as fun as it was to go to a sports card show and find some cool things to add to my collection, the highlight of my day was getting to see an old friend again. The second weekend of the month seems like a popular one for sports card shows in New Jersey. S&B Sports Promotions is holding a weekend-long sports card show at the Voorhees Town Center, 1285 Echelon Mall Road, Voorhees starting today. New York Giants tight end Jake Ballard and New York Yankees infielder Eduardo Nunez are scheduled to be autograph guests, presented by Bleacher Creature Collectibles, at a show at the Sheraton Hotel, 6 Industrial Way East in Eatontown on Saturday. The show runs from 9 a.m. to 3 p.m., with Ballard and Nunez scheduled to be there from 12-2 p.m.
For planning purposes, there are a couple of events for football fans later this month. MAB Celebrity Services will have a number of the 2012 New York Giants signing autographs in Franklin Lakes on Feburary 23rd and 25th. GT Sports Marketing will hold a big football autograph show (with some other guests, including George Brett) next weekend (Feburary 17th-19th) at the Garden State Exhibit Center in Somerset. 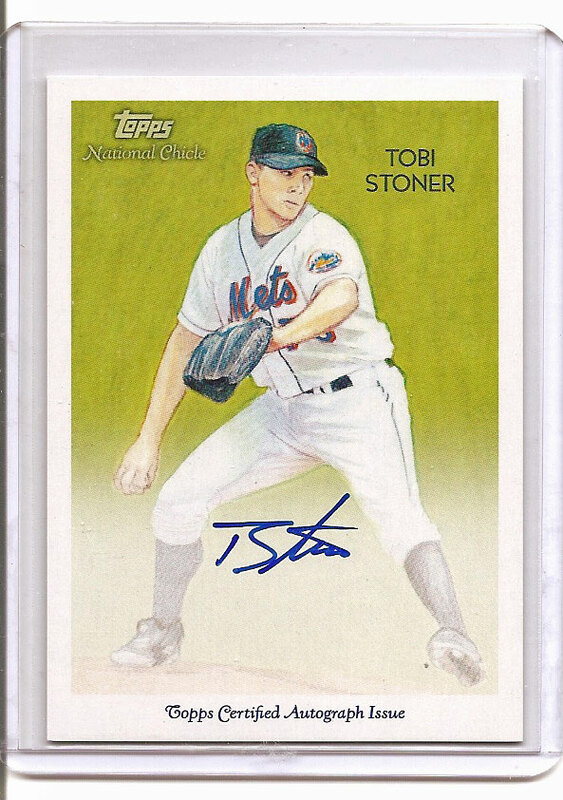 And for minor league baseball card collectors, STB Sports is now accepting pre-orders for 2012 card sets through its website. I also got a new printed catalog from Lake Country Minor League Prospects yesterday with 2012 pre-order information, but it’s not posted online yet. You can try contacting them if you’re interested and not on the mailing list. This is a good weekend to head to a sports card show – you’ve got a few to choose from. Collectors’ Showcase of America is running a big football autograph show at the New Jersey Convention and Exposition Center at Raritan Center in Edison. More than 30 former football players are scheduled to be there to sign autographs, but one of them was also an All-Star baseball player. 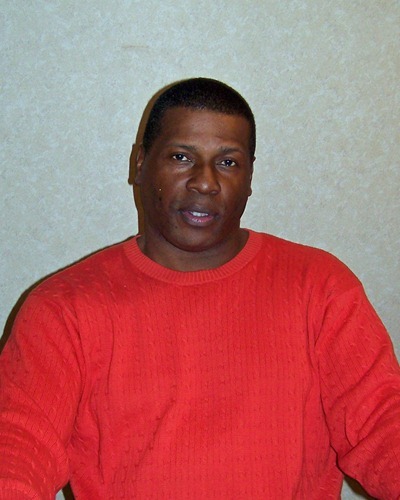 Bo Jackson is one of the guests on Saturday, and on Sunday Hall of Famer Whitey Ford is scheduled along with the football guests. If you’d prefer to go to a show with less emphasis on football, S&B Sports Promotions is holding one at the Woodbridge Mall all weekend. Kevin of Ridgedale Sports will be on hand with Shea Stadium memorabilia in case you’re still looking for a Father’s Day gift. There are also three smaller sports card shows listed on the Beckett Card Show Calendar for the weekend: one at the Hampton Inn in Woodbridge on Saturday, one at the Rahway Senior Center on Sunday, and one at the East Dover First Aid Squad in Toms River on Sunday. The Mets will wrap up a disappointing 10-game homestand this weekend with a 3-game series against Atlanta. (At least we can make fun of Dan Uggla and his .175 batting average & .557 OPS.) Even though it’s the weekend, all three contests are night games. Fans attending Saturday’s 7:10 p.m. game will receive a free Mets cap; those attending Sunday night’s 8:07 p.m. game will receive a replica batting helmet. The Trenton Thunder are also home for the weekend with a three-game series against the New Hampshire Fisher Cats. Tonight’s and Saturday’s games start at 7:05 p.m; Sunday’s game is a 1:05 p.m. afternoon contest. The first 1,500 fans at tonight’s game will get a free Thunder baseball cap. The first 1,500 kids will get a Thunder logo baseball on Sunday. Saturday’s game includes a post-game fireworks display. 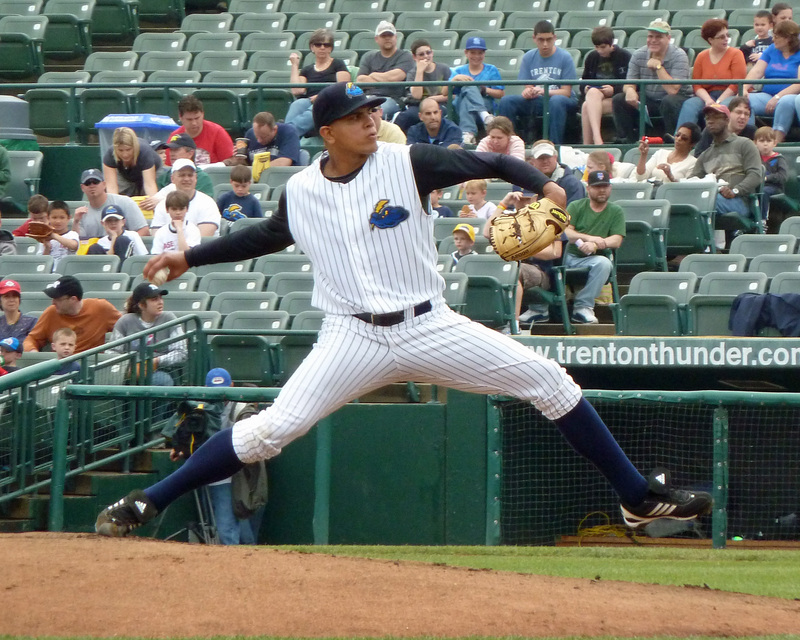 Yankees’ top pitching prospect Dellin Betances was scheduled to start tomorrow night’s game. 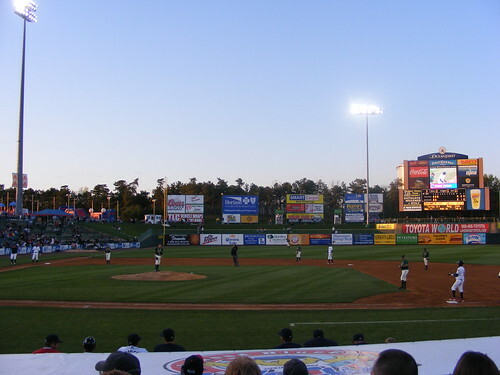 The Lakewood BlueClaws will hold their 2011 Fanfest at First Energy Park on Saturday, from 11 a.m.-4 p.m. This will be your first chance to buy single game BlueClaws tickets. Enjoy free food, tour the ballpark and take advantage of sales in the team store. Bring a non-perishable food donation and receive vouchers for two tickets to a game in April or May. If you’re looking for sports card shows, there’s one in Rahway at the senior center at 1306 Esterbrook Avenue on Sunday from 9 a.m. – 3 p.m. and one at the Toms River Elks, 600 Washington Avenue, also on Sunday from 9 a.m. – 3 p.m. 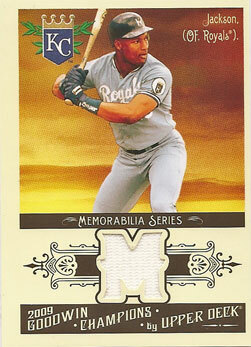 Unfortunately, you’ll probably have to wait until next week before this year’s Topps Heritage cards start showing up. Online retailers are listing March 16th as the expected release date. This year’s set echoes the 1962 design. I went to a pair of card shows this weekend. On Saturday, my destination was the MAB Celebrity Services “Hot Corner” show in Secaucus. I went with two personal goals: getting a Mets card signed by Todd Zeile and getting an 8×10 photo signed by Chico Walker. 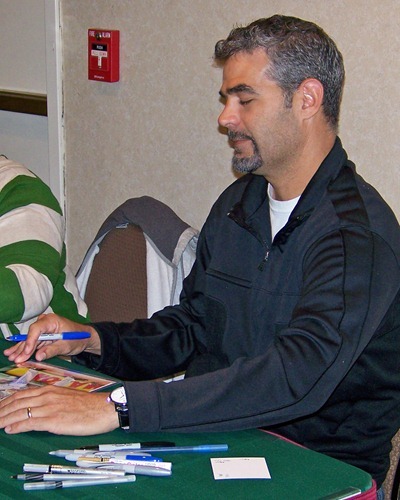 I went with my friend, Bart, who wanted to meet Mike Lowell and get a couple of photos signed. On Sunday, I went to the local monthly baseball card show. Approximately a dozen dealers show up; some of them have interesting stuff, some of them don’t. There are a few regulars – a guy who specializes in unopened boxes, another guy that breaks a box or two of everything to sell singles, and a guy that brings 5000 count boxes of the most random stuff and sells every card for a buck. Then there’s the guy that sits there opening boxes of whatever just came out, and goes through them with price guide in hand to see what he can get for his pulls. I made the mistake of looking through some of his cards this time.